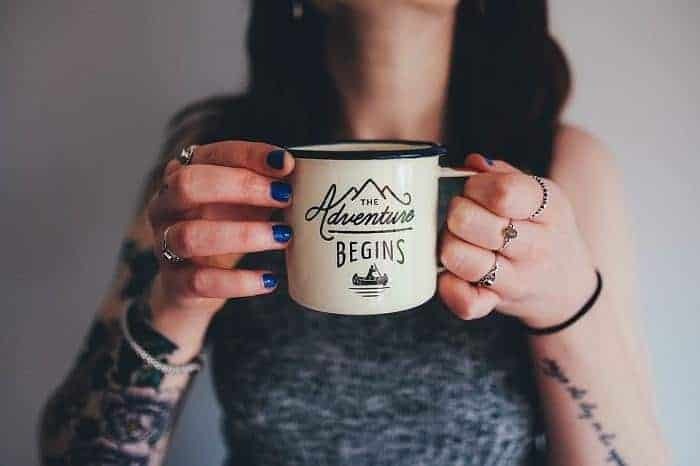 The Northwest (includes Oregon, Washington, and Idaho; sometimes Montana and Wyoming; some sources include southeast Alaska) is filled with amazing road trip destinations that people travel all over the world to see: from Glacier National Park, the Space Needle, Mount Hood, Silverwood, to Yellowstone National Park. These locations are on the cover of many travel brochures for good reason. But there are more hidden gems in the Northwest that don’t make the cover. These aren’t unheard of; but for many, they are secrets that most people have never thought of visiting. 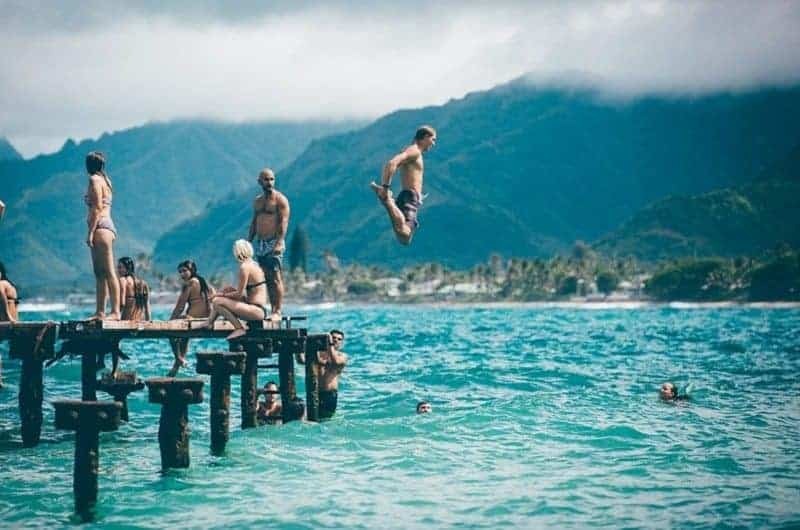 These places offer perfect road trip opportunities as they are nestled off beaten paths and located in beautiful destinations. 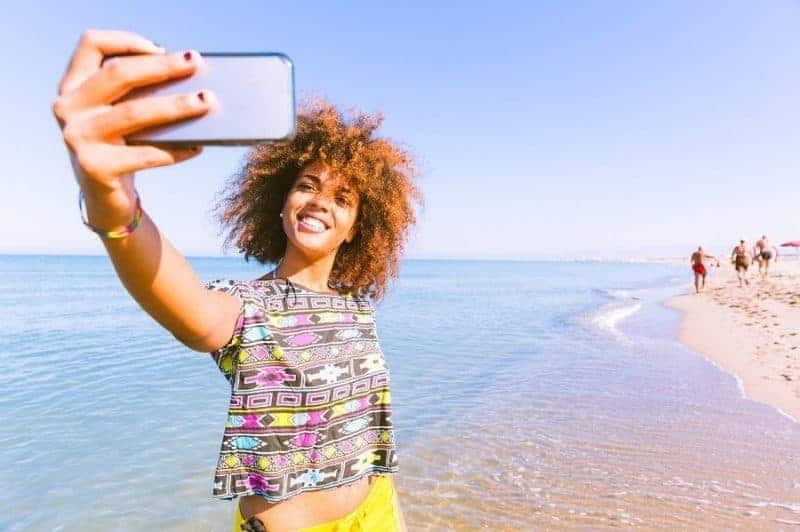 For those looking for new road trip destinations, these secret locations are the perfect gems to discover. The Ape Cave is a lava tube at Mount St. Helens in Washington. 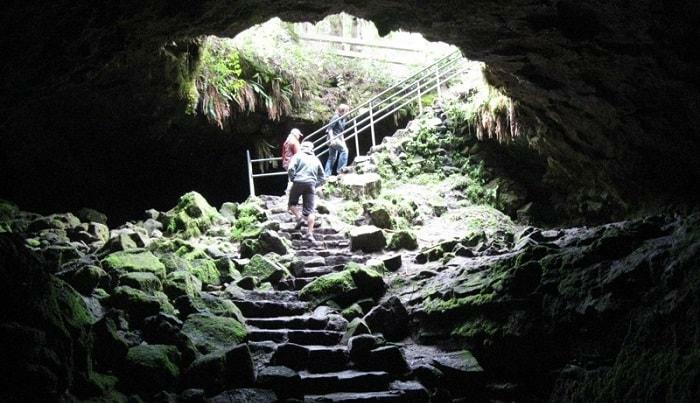 It’s the largest lava tube in the continental U.S. and is over two miles in length. There are two trails to take in the caves: the upper cave and lower cave. The lower cave is easier, and takes about an hour to hike down and back. The upper cave can be challenging as it takes about 2.5 hours to hike, with sections that require people to climb over boulder piles and scale an 8-foot lava fall. Not only are the caves themselves amazing, but it also is home to some Bigfoot lore. Apparently, there’s a story about a skirmish between miners and a family of Bigfoot back in 1924. Driving to this area is beautiful in itself, but the pretty scenery might be overshadowed by your amazing experience in the caves. 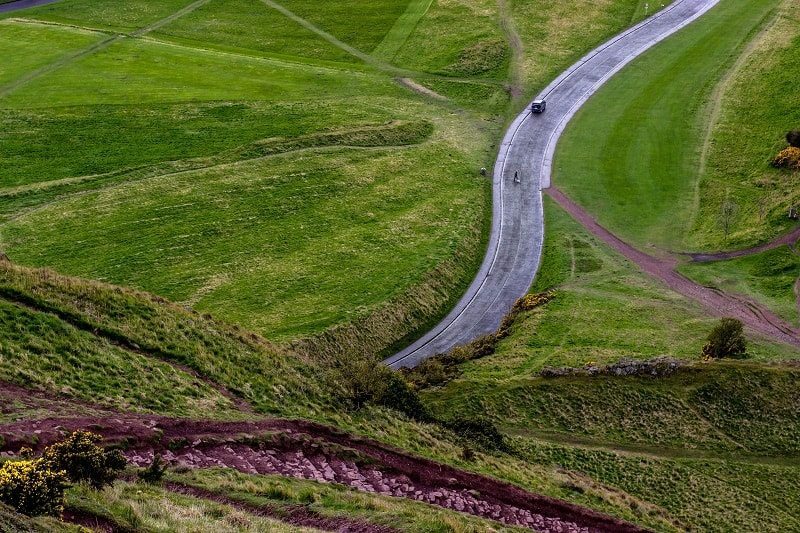 Pro tip: Depending on the time of year, these roads can be treacherous. Be sure to prepare your car for a road trip no matter the season in order to keep yourself safe. Thor’s Well is an amazing natural phenomenon that looks like the drain to the Pacific Ocean. It is south of Yachats, Oregon along U.S. Route 101. The well is actually a hole in the rock and is around 20 feet deep. It’s not for the faint of heart because it’s best to watch during high tide or during winter storms. You’ll probably get hit by the waves shooting in and out of the well, plus you’ll have to walk out onto really unstable rocks to get to it. But it’s a sight once you do. Despite what it looks like in many photos, it is NOT huge: it’s a hole in the rocks where water from the ocean goes in and shoots out with the waves, but it’s not gigantic. 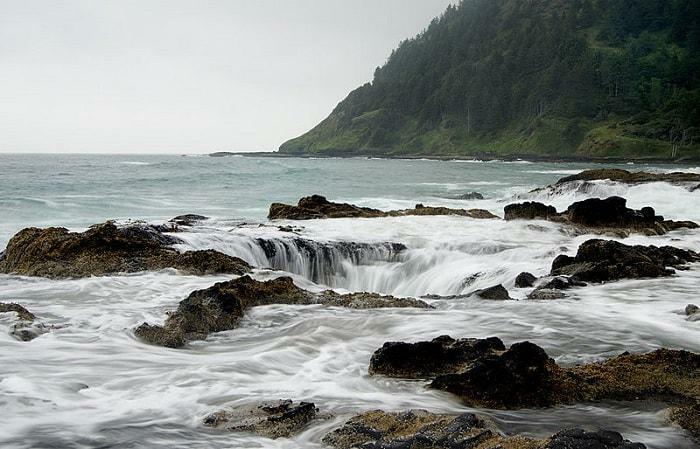 One of the best road trip destinations is the area around the coast of Oregon as the scenery through it is breathtaking. Thor’s Well is a great stop on the trek down the coast. Pro tip: This can be hard to find, but it’s close to the Spouting Horn. There won’t be any signs to tell you when you’re there. Visiting Craters of the Moon really is like visiting another planet. This out-of-place landscape in the middle of Idaho is eerie yet stunning. 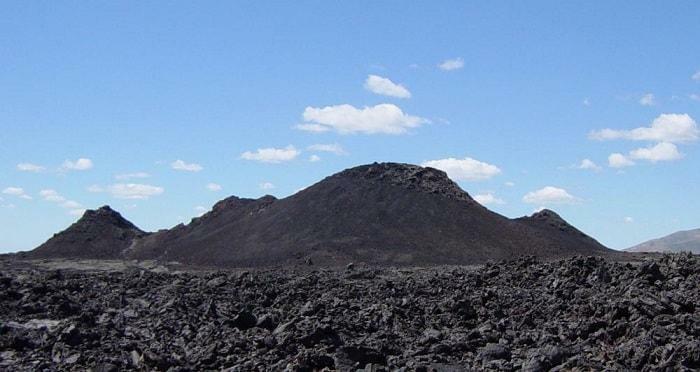 The black landscape and jagged formations are caused by lava fountains and flows 15,000 years ago that hardened. Many animals and plants have adapted to their surroundings, and learned to live among the volcanic matter. The road to get there is definitely one of the best road trips in USA because it provides a ton of photo opportunities along the way. You have the option to drive and hike through the landscape once you’re there, so be sure to wear the correct footwear. This monument is not exactly a secret to those in the area. But to many others, it’s a small gem off the beaten path that you can’t see anywhere else. Pro tip: Craters of the Moon is higher in elevation than the surrounding areas, so it’s normally windy. Bring a jacket! 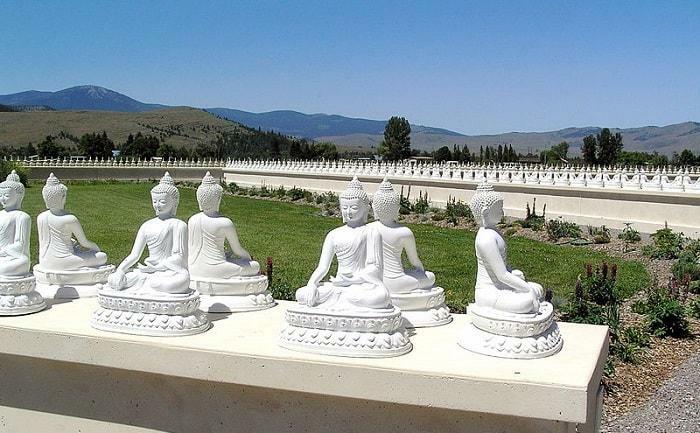 Tucked away near Arlee, Montana, is the Garden of One Thousand Buddhas. Montana might not be the place you’d expect to see such a thing, but for those from the area, it’s no surprise that GochenTulku Sand-ngag Rinpoche chose this spot for this monument. As one of the best road trip destinations in the Northwest, this area is beautiful and mountainous: a perfect location for a spiritual retreat. 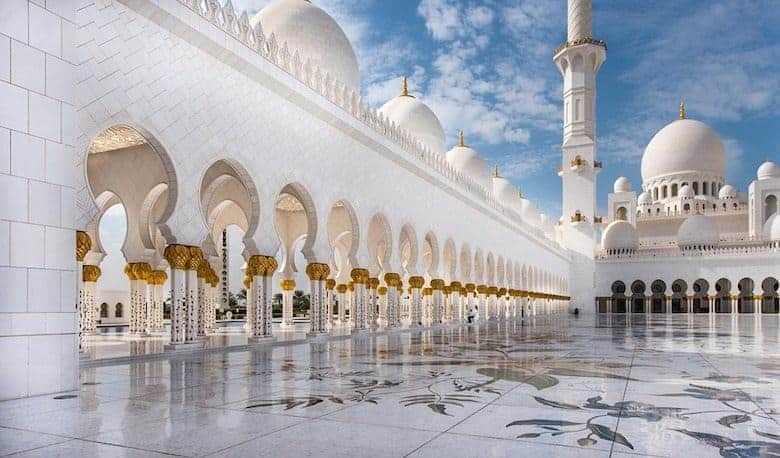 This is free to the public and open to anyone of any religion to visit and feel at peace. The garden is within the Flathead Indian Reservation and the Salish-Kootenai people have welcomed the nondenominational nature of the garden for the people in the area. This small monument is NOT on the cover of many travel brochures for Montana. But it guarantees a gorgeous and peaceful visit on a road trip through the state. Pro tip: The garden also offers a gift shop filled with little gifts from Nepal and Asia. 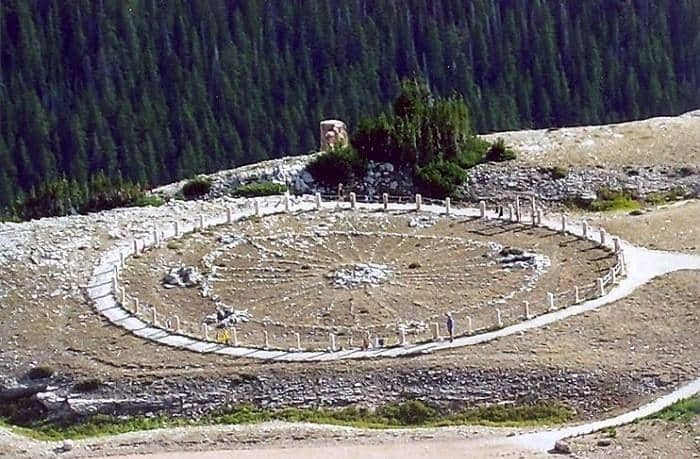 There are a lot of things about the Medicine Wheel in Wyoming that are unknown, but it’s an amazing experience to see something so sacred up close. The Medicine Wheel was used for fasting, vision quests, and to offer thanks. It is 25 yards in diameter, constructed in coordination with many astrological alignments in mind, such as the solstice and certain stars. It’s about a 1.5 miles to hike to the Medicine Wheel, and the experience is surreal and spiritual. As it’s made with rock, it’s one of the best preserved ancient Native American sacred sites in North America. The drive to this location through the Bighorn National Forest is amazing. 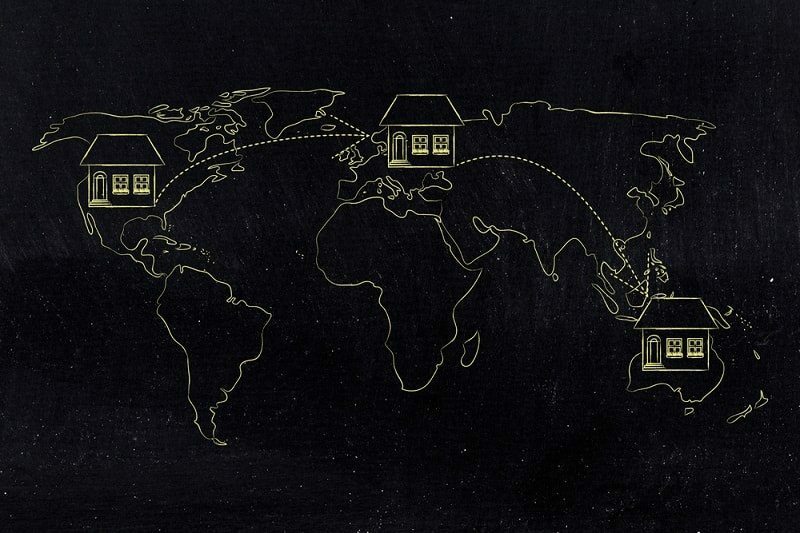 Reaching this destination ties the whole experience together. 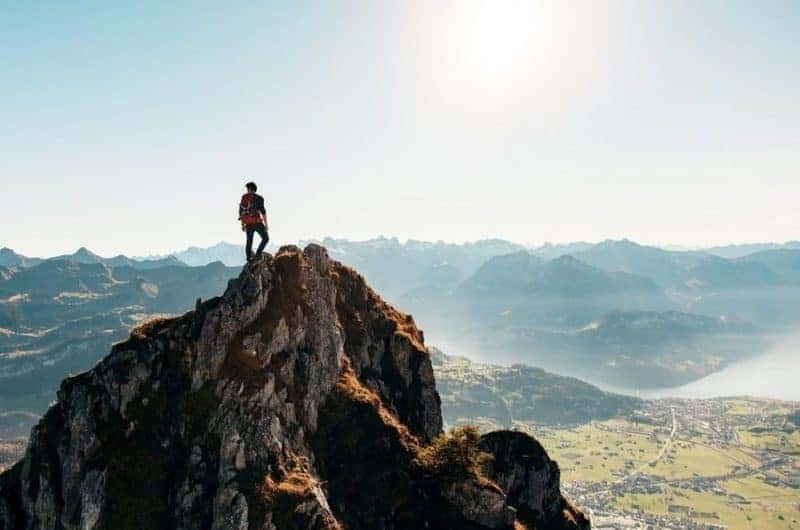 Pro tip: Depending on your fitness level, this hike can be easy or a bit challenging. Regardless, it’s best to wear a pair of shoes made for hiking to get there. Which of these Northwest road trip destinations will you visit soon? The Northwest is full of amazing sites, with some places more hidden than others. They aren’t grandiose destinations, but more subtle experiences within their environment. Road-tripping around the Northwest offers open roads, less traffic, and scenic experiences. For those looking for an adventure exploring the lesser known side of the Northwest, these hidden gems offer small prizes on a smaller scale than other high-traffic tourist destinations. Sometimes, the trip is the adventure and the destination is a subtle beauty along the way.